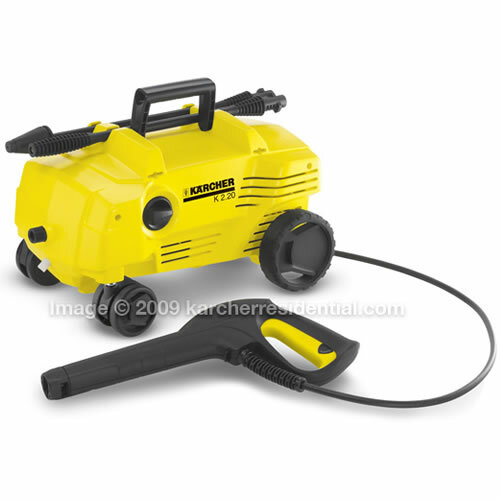 Karcher electric pressure washer models gives Karcher washer fans a wide range to choose from. To its credit, Karcher is considered one of the best selling brands of pressure washers on the North American market. We also consider a number of its models under our best pressure washer and best electric pressure washer selection within this site. As you consider the different Karcher washers reviewed here, it is also a good idea to look at our page on tips on choosing a pressure washer. The Karcher electric washer series is mostly applied on residential projects. Overall Karcher electric pressure washers units receive very high ratings also driven by the popularity of its German engineered technology. 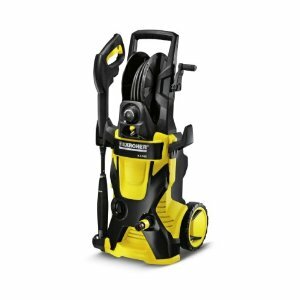 Selling at about $270.00 online this is one of Karcher's best selling electric pressure washer models. It enjoys very good ratings with a positive feedback from a huge number of owners. 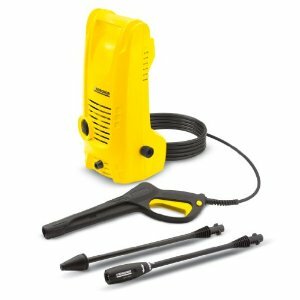 At 2000psi this Karcher model will do most of your home power cleaning projects without difficulty. This X-series model will likely give you longer years of service thanks to the cooling system employed on the motor that prolongs its life. The washer comes with a range of attachments including the DirtBlaster spray wand specially designed for tougher jobs such as stone, concrete, metal and other rough and tough surfaces. We recommend this Karcher electric pressure washer as a good buy. Our main complaint and caution when considering this washer is the to heavy design that leads to the unit easily falling over. Other than that it has good value for money. You may get it cheaper on Amazon. 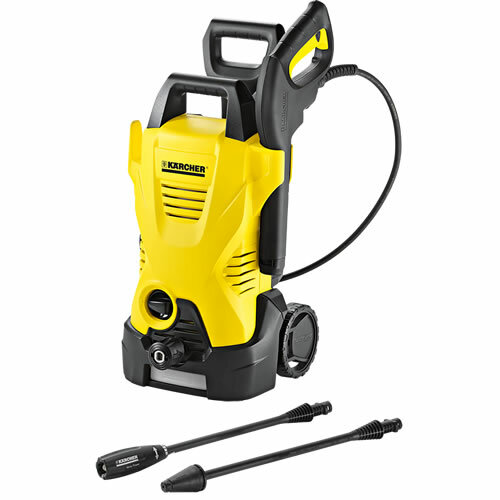 This unit is one of Karcher's best selling cold water electric pressure washers. It has a power output if 1550psi and water flow output of 1.3GPM. It sells online for about $100.00 and enjoys tremendous positive user ratings. This is again a German engineered electric washer which has a special direct-drive axial pump designed not to require any maintenance. At 1550psi one should expect to do the most basic cleaning projects around the home such as patio, driveway, walkway, wood and removing bird droppings from concrete and walls. Due to its lower pressure the washer will obviously take you longer to clean certain surfaces compared to what you would do with the above X-series, for example. This washer has short 20 ft hose and a long electric cord at 35ft. It is a lower end affordable pressure washer. 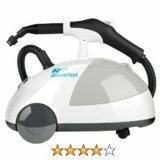 It is easy to store and compact making it easy to carry about whilst power cleaning. If you are looking for something light in power and that won't damage your surfaces this is it. 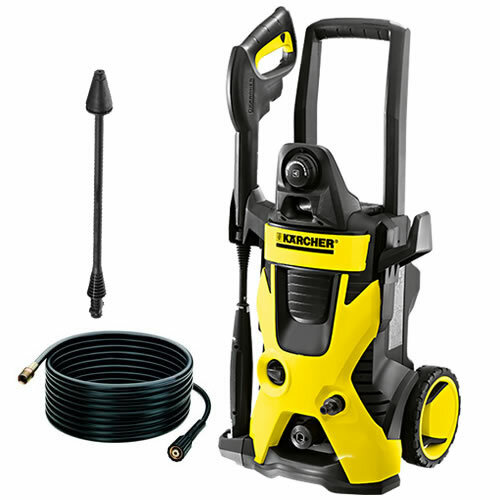 Karcher x-series K3.740 1800psi - Sells at about $240.00 per unit and highly rated. This is a very good electric pressure washer from Karcher. It has a 2 wheel frame, 35ft cord, and 20 ft hose. It has no adjustable pressure a key feature for some electric pressure washers. 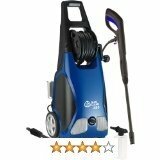 At 1800psi expect to do most home cleaning jobs with this pressure washer. The hose has been criticized of being poor quality and a poor carrying handle. Karcher X-series K2.425 1600psi - You can pick up this washer for $170.00. It is a well rated electric washer with a power output of 1600psi and GPM of 1.2. This cold water washer uses no tips but what is known as a vario spray wand. It works to give different spray shapes through an adjustable spray wand. It has enough power to possibly damage delicate surfaces.